Linda Evangelista & Francois-Henri Pinault Settle Child Support Case! After a very ugly and public child support battle between Linda Evangelista and Francois-Henri Pinault, the case has been settled…but the monthly child support amount has not been disclosed. Supermodel Linda Evangelista and her billionaire French baby-daddy this morning settled by telephone their bitterly contentious child support battle, a source close to the successful negotiations has told The Post. The surprise settlement came as an international press corps descended on Manhattan Family Court to hear Evangelista’s second day of testimony in the highly-publicized case. Evangelista’s testimony, now no longer necessary, would have touched on such touchy topics as Francois-Henri Pinault’s initial wish that the baby be aborted. “Mr. Pinault has gone a long way toward meeting those original demands,” the source said of Pinault, who had been on the hook for a potential $46,000-a-month that Evangelista said she needed for the nannies, chauffeurs, bodyguards and other expenses of little Augie, their five-year-old son. The exact monthly settlement was not disclosed by the source, who wished to remain anonymous. But the timing suggests Pinault has cried “uncle” on the verge of Evangelista testifying before American and European press about his and Evangelista’s whirlwind 2005 romance, his reluctance to raise the resulting child, and the eventual discords over visits and money. The parties are due to be in court 2 p.m., at which point they will announce the fact of the accord on the record before Support Magistrate Paul Ryneski, who is expected to call the parties back tomorrow so that the details can be approved in writing. Tiger…I guess you drank your last Gatorade…well for money at least!!! Katy Perry’s Hubby Russell Brand Gets Deported! 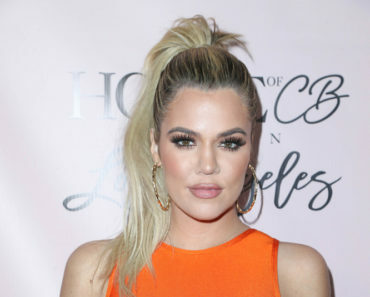 Khloe Kardashian Slams Body-Shamers After She Wears Sweats! Jennifer Garner & Ben Affleck Expecting Baby #3!